Milk chocolate flavoured cupcake topped with 35% chocolate cream icing. Relish the best Cakes in Bangalore! Cakes make every occasion special, straight from an evening tea, a casual get-together to a birthday celebration. What better to gift your loved one on their special day than an authentic succulent milk chocolate cake. Made with real milk chocolate, our cupcakes are topped with 35% chocolate cream icing, making them perfect for whenever you wish to have a little chocolate. It is now easier than ever to buy milk chocolate online with Smoor’s online chocolate shop. We offer cake delivery in Bangalore and with our convenient delivery system you can choose next-day and fixed-day delivery according to your suitability. 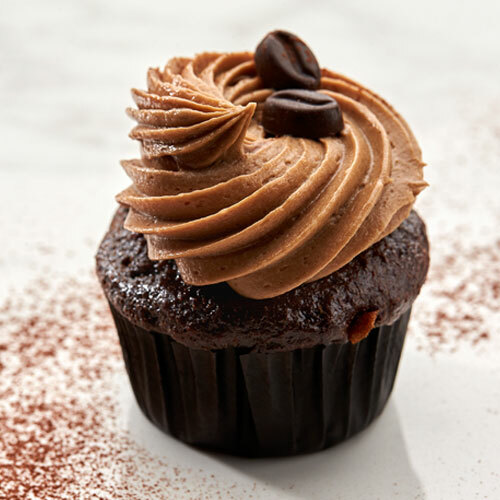 Savor the flavor of delectable milk chocolate cupcakes made by our talented chefs, using the finest of ingredients. Our online birthday cake delivery service will make sure that each birthday celebration becomes unforgettable with delicious cakes from our store.